Knowledge and learning become perfect when it is associated with theory and practice. Theoretical knowledge gets perfection with practical implication. As the concerning parties; educational institution and the organization substantially benefit from such a program namely “Internship”, the sole purpose of internship is to train the students and prepare themselves for the real life in job markets. I have developed this internship report as a partial requirement to acquire the BBA degree under direct supervision of Mohammad Mahfuz Ahmed. I have tried my level best to make this report informative and enriched so that the real things can easily be displayed. This report has covered almost all the strategy of Berger Paints Bangladesh ltd for marketing its product. It also includes a brief profile of the company. To know the strategy of the company it also includes the product categories and the distribution channel of the company. This study had been carried out to achieve some predetermined objectives. This has been broken down into two different categories of objective. Primary data have been collected by direct interviews and conversations with the employees within the Dhaka sales office of Berger Paints Bd. Ltd. The needed primary data has been collected through some questionnaire. Besides, some data has been collected by conducting in depth interview with The Area Sales Manager (ASM) Sabuj Shawpan Barua. A major limitation of the report was that only dealers were selected as the respondents. Most of the traders are very much afraid of disclose the information about sales. Time and cost constraints also other limitations regarding this research. Most of the traders of paints are illiterate or little educated. Lack of experience of the researcher. As the report is based totally on personal observation, personal bias might have hampered the findings. I might have unintentionally missed any important point that I should have covered in my project work. In my survey I have droped some Berger’s dealer as I want to focus on the traders who sales more than one company’s paints. 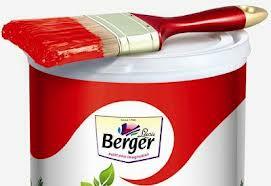 Berger is one of the oldest names in paint industry detailing back more than 200 years to 1760. Lewis Berger, a German national, founded dye & pigment making business in England. Lewis Berger & Sons Limited grew rapidly with a strong reputation for innovation and entrepreneurship culminating in perfecting the process of making Prussian Blue, a deep blue dye, a color widely used for many European armies’ uniform. Production of dyes & pigments evolved into production of paints & coatings, which till today, remains the core business of Berger. Berger grew rapidly by establishing branches the world over and through merging with other leading paint & coating companies. Berger Paints began its painting in Bangladesh since independence. And this has been a footstep to bring more than 230 years of global paint industry experience into Bangladesh. In 1970, Berger Paints Bangladesh Limited (BPBL) erstwhile Jenson & Nicholson had set up its paint factory in Chittagong at an estimated investment of TK.4 million. The shareholders were Jenson & Nicholson (J& N), Duncan Macneil & Co Ltd and Dada Group. The name of the company was changed from J& N (Bangladesh) Limited to Berger Paints Bangladesh Limited on 1st January 1980. In August 2000, J& N investment (Asia) Ltd purchased Government shareholding. Now, Berger Paints Bangladesh Limited is 100% owned by J& N Investment (Asia) Limited, UK. Over the decades, Berger has evolved to becoming the leading paint solution provider in this country and has diversified into every sphere of the industry – from Decorative Paints to Industrial Coatings, from Marine Coatings to Powder Coating and what not. To give a comprehensive and sustainable painting solution to the need of the industry, Berger has invested more on technology and Research & Development (R & D) than any other manufacturer in this market. It selects the raw materials from some of the best known names in the world: MITSUI, MOBIL, DUPONT, HOECHST and BASF are a few to name. The superior quality of Berger’s products has been possible because of support from its advanced plants and an international-standard of strict quality. Factory : Dhaka factory- Nabinagor, Savar. Date of Incorporation : 6th July, 1973.
Business Line : Manufacturing and Marketing of High Quality Paints. Position of the Industry : 1st. Special Achievement : ISO 9001:2000. Berger is one of the oldest names in the paints industry and the country’s major specially paints business with products and ingredients dating back more than 200 years to 1760. Louis Berger, a German national founded dye and pigment making business in England. Louis Berger and Sons Limited grew rapidly with a strong reputation for innovation and entrepreneurship culminating in perfecting the process of making Prussian blue a deep blue dye , a color widely used for the uniforms of many European armies .Production of the dye and pigments evolved into production of paints and coatings ,which till today ,remains the core business of Berger .The company grew rapidly by establishing branches all over the world and through Berger and acquisitions with other leading paint and coating manufacturing companies. Berger’s mission in 2008 was to increase its turnover by 100% with the next five year. To accomplish this Berger promotes its sales department to increase the gross sales through direct selling and developing substantial number of new dealers and projects. The company can increase its sales by 35% in 2009. The company recently introduced a manual production system called ‘ ‘ for the production of 27 slow moving shades of Robbialac Acrylic Plastic Emulsion, 10 shades if Robbialac Synthetic Polyvinyl Distemper and 15 shades of Weather Coat. As the averages monthly sales of these 52 shades are less than their batch sizes, these are consider as slow moving items. So production of these shades from factory increase the stock level which finally fixes the working capital and increase the product cost per unit. The objectives of this system was to reduce the pressure on factories production capacity by ensuring the production of these slow moving shades from depot and by guarantees the spot delivery against customer demand. Berger’s one of the prime objectives is to provide best customer support-connecting consumers to technology through specialized services like free technical advice on surface preparation, color consultancy, special color schemes etc. To bolster customer satisfaction, Berger has recently launched Home Decor Service from which once can get an array of services pertaining to painting. Investment in technology and plant capacity is even more evident from the new factory of Berger Paints Bangladesh Limited at Savar. The state-of-the-art factory is an addition to Berger’s capacity to make it the paint-giant in Bangladesh. Not to forget about the first Double Tight Can manufacturing unit in its Chittagong factory. All, together with a devotion into R & D to make it the reputed center of Basic & Applied Research in paint and Resin Technology, proof the commitment that Berger has for this industry. With its strong distribution network, Berger has reached almost every corner of Bangladesh. Nationwide Dealer Network, supported by 7 Sales Depots strategically located at Dhaka, Chittagong, Rajshahi ,Khulna, Bogra, Sylhet and Comilla has an unmatched capability to answer to paint needs at almost anywhere in Bangladesh. The sheer innovation and development drive is reflected on the various products Berger has so far launched in this market. The product range includes, specialized outdoor paints protective of the worst weather conditions, Color Bank, superior Marine Paints, Textured Coatings, Heat Resistant Paints, Roofing Compound and Epoxies. In each of the product category, Berger has always been the pioneer and will continue to do so proudly. With world class range and durability, Berger is always ready to answer to all weather conditions. It was honored with “The top tax payer’s award 2003” in June 2004 by the income tax authorities of the government of Bangladesh. Additionally the company received the “Channel i performance award 2004” for its effort in promoting the young painters and architects of the country through the burger young painter’s art promotion and young architects award. This award recognized the role of Berger paint Bangladesh limited (BPBL) as a responsible corporate citizen. being an innovative and technology driven Company consistently delivering world-class products ensuring best consumer satisfaction through continuous value added services provided by highly professional and committed team. To increase the turnover by 100% in the next five years. It will remain socially committed ethical Company. Berger paints Bangladesh Ltd is committed to add value to life to out performs the peers in terms of longevity, customer service, revenue growth, earnings and cash generation. Besides the company will be the employer of choice for all existing and future employers. But it also tries to do best in the conjunction with activating the ultimate objective of a business organization –Wealth Maximization. Commitment to achieve total customer satisfaction. Commitment to project the company as an ethical and socially responsible one. Commitment to continue as the market leader through consistent sales growth, increasing productivity and developing new products befitting customer needs. Ensuring continuous improvement in operation through utilization of highly professionals and dedicated team, proper process management and participation of the stakeholders. Setting measurable target at appropriate stages and continuously monitoring them. The core business of Berger `is manufacturing and marketing of paints, varnishes and coatings. It produces a wide range of paints including architectural paints, industrial coatings, marine paints and powder coatings. With a view to improving consumer satisfaction, Berger has also introduced end-user oriented services such as color bank, home décor, pro link and tinting. Its wholly owned subsidiary, JENSON & NICHOLSON BANGLADESH LIMITED, is engaged in tin container production – most of which is supplied to their parent company. Like all other manufacturing organizations, BPBL has a conventional organization structure. Generally six board meeting are called in BPBL during a year where chairman of the board of Directors presided over the meeting .In BPBL several committees like the Audit committee, Risk committee, Remuneration committee, Executive committee and the Purchase committee are formed along with Managing Director (MD) and other Executive & non-Executive Directors. These committees sit at least once a month to approve various proposals brought by the management prior to implementation. All the proposals are initiated by the mid level managers and then forwarded to the Managing Director (MD) through the head of the divisions or departments. The company has also a legal problems faced by the company and external auditors to conduct audit activities of BPBL. There are four Non-Executive Directors, two Executive Director and ten Managers work under the Managing Director (MD) of the company. Among the ten managers three directly report to the Executive directors and other report to the Managing Director. The Managers of each department monitor the work activities of subordinates, convey top management decisions and provide necessary feed back to reach organizational goals and objectives. In response the bottom level managers perform their responsibilities sincerely and report regularly to their immediate superiors. Berger paints Bangladesh LTD operates its business in a competitive environment with both local and multi-national organizations. At present the company holds 55% market share where as the rest of 45%market share holds by the other multi-national and local companies. It’s clearly indicated that Berger paints Bangladesh Ltd is in the leading position among all other competitors in the paints industry .The majors participant of the paints industry are ; Asian Paints, Elite Paints, Romana Paints , Roxy Paints , Aqua Paints , Pailac Paints ,Al-karim Paints, Uzalla Paints, etc. Among this company only Asian Paints is multinational and others are all local producers. Asian Paints has started its operation in Bangladesh very recently. Already it diversifies its business with huge ranges of color and product verities. But still Berger paints Bangladesh Ltd holds its top position with strong distribution networks, effective and efficient management team and human resource. Being an Intern I worked at Berger Paints BD Ltd. as a Sales Support Officer. I really enjoyed the job during my internship program. I had to conduct market survey, field visit and dealing with the dealers of Berger Paints. That’s why I got a clear cut picture of Marketing Strategy that Berger follows. I had to maintain a regular communication with the dealer; whether the dealers are satisfied with the existing products or service that Berger offers them. If they raised any complain, I would report to my Boss, Mr. Sabuj Shawpan Barua; ASM, Dhaka Sales Office. Moreover I would visit Buildings that are under construction and asked those land lords that which paints they are going to use for their wall. If they would select Berger, I did aware them about various services of Berger and inspired them to stay with the most renowned paint Brand “Berger”. If I got any who are interested to use other brands instead of Berger, I did try my level best to build a space in the mind of that person so that Berger could occupy a position in that space. I would inform them about the details services, products, and facilities for using Berger. I would always try to represent the Berger as a superior brand in front of them. Theoretical knowledge gets perfection with practical implication. The primary purpose of the job is to gather a practical experience on the basis of four years study. I tried to combine my theoretical knowledge with practical implementation of that. And the secondary purpose is to achieve the partial requirement to fulfill my BBA degree. The main function of my job was to increase sales. Sales inspection of different stores. Promote Berger by spreading positive word of mouth communication. And other Sales officers (SO) and sales support officers (SSO) and staffs. Provide customers complete solution of paint service. Provide customers vast range of products. Marketing Strategies of Berger Paints BD Ltd.
Marketing strategies of Berger is built on STP – Segmentation, Targeting and Positioning. Berger discovers different needs and groups in the market place, target those needs and groups that it can satisfy in the superior way and then position its offerings, so that the target market recognize the companies distinctive offerings and image. Berger paints Bangladesh Ltd offers both interior and exterior paints. It leads the way for introducing high quality color bank products and top coat finishes Decorative paints in Bangladesh. Interior paints like plastic and distemper are used in wall, cement plaster etc. and enamel is used for metal, wood, bamboo, hardboard etc. Those products ensure long life of metal, wood, bamboo, hardboard, cement plaster etc. as well as its beauty. Very recent Berger offers Robbialac easy clean which is high quality interior wall finishes, highly applicable for concrete wall and cleanable. It offers exterior paints like weather coat which is high quality exterior liquid and durocem is power based. Both are water, weather and fungus resistant. It also provides primers, undercoats, thinners and other decorative products. Premium emulsions, regular acrylic emulsions, distempers, first quality enamels, exterior finishes, textured finishes, automotive refinishes- you would expect a company like BERGER, the premier paint company in Bangladesh, to have leading brands in all these categories. Luxury Silk A marvel of international emulsion technology, Luxury Silk combines the best of aesthetic appeal with the best of functional properties like durability and ease of maintained. Robbialac Acrylic Plastic Emulsion (APE) A standard emulsion paint formulated with acrylic, copolymer emulsion, quality pigments and other raw, materials. Robbialac Acrylic Plastic Emulsion has a smooth, rich, matt finish and is available in a very wide range of pleasing shades. Painted surfaces, which have matured for at least two months, are easy to clean with a solution of water and mild soap. Robbialac Super Gloss Synthetic Enamel (RSE) Robbialac Super Gloss Synthetic Enamel is hardworking, premium quality synthetic enamel formulated to retain its gloss and film integrity in the face of extreme climatic variations. Its excellent weather ability makes it ideal for rolling stock like railway coaches, buses, lories, oil tankers, as well as for doors, windows, signboards and hoardings. It is equally versatile for interior application like furniture, fixtures and various other domestic articles. Robbialac Acrylic Distemper (SPD) A specially formulated acrylic co-polymer emulsion based washable distemper for elegant, smooth, durable, matt finish for interiors. Compared to other conventional distempers, Robbialac Acrylic Distemper can cover 30% more area because of its special formulation. Weather Coat Smooth Weather coat is smooth water based super exterior wall finish formulated to give exceptional durability in adverse climatic conditions. It provides the buildings with a long lasting and fresh appearance. It based on tough, flexible and high quality resin emulsion, which provides excellent flexibility and adhesion. Jhilik Synthetic Enamel Jhilik Synthetic Enamel is economy synthetic enamel formulated for interior and exterior application to give a glossy durable surface. It is ideally suitable for wood and steel furniture, toys and various household items. Durocem Cement Coating Durocem is an exceptional formulation based on selected raw materials and specially treated white cement that makes it ideal for both indoor and outdoor applications. It affords a hard, durable and waterproof surface. This product is a unique combination of aesthetics, durability and economy. Wood Keeper It provides brightness to polished or polish less or uneven surface of wood and spot resistance. Tartaruga Textured Coating This is one of the most famous BERGER formulations in the world. The product is paste like having special aggregate to facilitate drawing desired textured patterns on the surface. Robbialac Wall Putty It used for new even plaster wall and only applicable for outer wall. Berger Color Bank introduces you to the global way to paint with a unlimited choice of shades to match your taste-instantly. The shade cards in Berger Color Bank stores are merely indicative of the amazing choice Berger Color Bank can give you. The rest is up to your imagination and your fingertips. Every Berger Color Bank store has a computerized color tinting machine to help you choose and take home your own shades from our world class range of paints. Availability of your chosen shades is always ensured as the paint is created and dispensed by the machine before your very own eyes. What’s more, as you see the shades of your choice on the screen, it also suggests three other colors to match it. Today thousands of satisfied customers swear by Berger Color Bank. Resulting in the installation of numbers of tinting machines in Berger Color Bank stores across the country. Our Access to World Class Quality. Berger Color Bank uses superior imported colorants and the world renowned tinting technology of Italianate, Italy. All these assure you a paint quality which is world class. Match and Compare endless Color Combinations Berger Color Bank has an unique Tint vision software which allows you to see infinite color combinations on the screen of the computer. If you so desire you can mix and match and create your own shades as well. This is a different segment of Berger’s wide range of paints mostly used for the industries both as raw materials and as protective paints for the equipments and buildings. Berger industrial paint is the economy brand of industrial paints. Protecting industrial assets is increasingly becoming critical owing to rising asset costs, harsh weather conditions and mounting chemical pollution. Therefore asset owners are looking at specialized protective coatings specific to their requirements. We perceive this to be just the right environment for Berger Paints to demonstrate its growing technical strength. Protective Coatings from Berger paints offer a choice of high-performance, heavy-duty coatings, designed to protect assets against the specific corrosive environment they are exposed to. Berger Paints Protective Coatings are tested under extreme conditions to ensure that they are durable and can withstand the vagaries of the different climatic conditions. Today the range of coatings find use across diverse industries such as nuclear, thermal or hydel power plants, chemical, petrochemical or fertilizer plants, refineries, sugar, pulp and paper industry, offshore structures, pharmaceuticals etc. Jensolin Thinner T-1 For Stoving paints, cycle paints. Jensolin Thinner T-2 For Chlororubber paints, Swimming pool paints, Tennis court paints. Jensolin Thinner T-3 For N.C paints. Jensolin Thinner T-4 For Road / Runway marking paints. Jensolin Thinner T-7 For all epoxy paints. Jensolin Thinner T-8 For polyurethanes. The decorative segments of the market accounts for a whopping 83.42% of the total industry, whereas industrial, marine segments contribute 12.17%, and 4.41%, respectively. The major focus of the companies, operating in the industry, is towards decorative segment. Only a few of the companies have their product offerings in industrial and marine segment. All the competitors are concentrating their best efforts for carving out their share of the pie in the decorative segment of the industry. The enamel segment accounts for around 50% of the decorative paint market by value and approximately 40% by volume. Berger market share in the synthetic enamel category is increasing gradually. As this product is accountable for the major share of the paint market, its continued success will result in significant growth of the overall market share of the company. This will also enable Berger to battle its competitors by weakening then in such a strategically important segment. Berger designs the company’s offerings and image to occupy distinctive place in the mind of the target market. For positioning in the mind of the target market Berger has differentiated its variables. Product differentiation on the basis of size, shape, color shade, convenient size of their paint container, plastic container and so on. It’s also maintain its better quality product, finest color shade, durable & long lasting paint, and they are also responsible to the customer wants and satisfaction. Ordering ease of Berger refers to how easy it is for the customer to place an order to the company. So they introduce the online service in case of order. So the customer can order and receive its product without going to market. With a view to bolstering consumer satisfaction, Berger Paints Bangladesh Limited has introduced “Berger Home Décor” on June 15, 2002 through which one can get an array of services pertaining to painting. There is defined Telephone number, 02-9354067 for queries. By ringing simply in the number one can make query or seek available services from the company. According to the nature of query, the company provides solutions. With its strong distribution network, Berger has reached almost every corner of Bangladesh. Their nationwide dealer network, supported by seven sales depots strategically located in Dhaka, Chittagong, Rajshahi, khulna, Bogra, Sylhet and Comilla has an unmatched capability of cater to the needs of the consumers of paints products, almost everywhere in Bangladesh. Berger has taken many powerful marketing strategies to build a high image in the market. It has strong slogan and symbols to identify image powerfully. Media is the mainstream to built and develop image not in our country but also allover the world. Burger built up its image through advertising, sponsoring different social and cultural activities. Berger paints has been organizing Young Painters; Art Competition for the last nine (9) years and also introduced Young Architects’ Award from 2003. The company regularly contributes to a number of causes and social welfare institutions through donations and sponsorships. These efforts results in a better image for BPBL, as minds of the general public, who are, after all, consumers of their products. Burgers objective is to achieve business excellences through quality by understanding, accepting, meeting and exceeding customer expectations. Berger follows international standard on quality management system to ensure consistent quality of product and services to achieve customer satisfaction. Berger Paints Bangladesh Limited is committed to achieving total consumer satisfaction. They commit to project themselves as an ethical and socially responsible company. Berger commits to continue as the market leader through consistent sales growth, increasing productivity and developing new products befitting consumer needs. It shall ensure continual improvement in their operations through utilization of highly professional and dedicated team, proper process management and participation of stakeholders. Berger will set measurable targets at appropriate stages and shall continuously monitor them. Berger is committed to main etingtain the harmonious balance of our eco system and therefore constantly seeks ways to manufacture and produce products in an eco friendly manner. From its inception, Berger has played a pioneering role in introducing new paint and paint technologies to the Bangladeshi market; Berger’s efforts have established it as the most esteemed paint company of the country and have contributed significantly in its growth. Berger intends to continue its ceaseless endeavors in the future years, and it is expected that such efforts will contribute immensely to the sustained and growing success of the company’s business. Berger has always been the most technology oriented paint company of the country. It has the most modern state-of-the-art production facilities installed in its Dhaka factory. Its Research and Development (R&D) and Quality Control (QC) departments are equipped with the best technologies in this country. Such technolo0gy driven strategy will definitely assist the future business growth of the company. Berger has always tried to respond promptly to market feedback. AS a result, Berger enjoys competitive advantage over its competitors. It is expected that Berger will enjoy more growth in the future, if it continues to be so be market responsive. The 9th term of Berger Young Painters’ Art Competition has been completed successfully in 2004 .We are encouraged to see the increasing level of enthusiasm among the young painters. This year also, a large number of participants took part in this nationwide Art Competition. Berger has always been a responsible corporate citizen. This unique Art Competition is one of the examples of Berger’s social commitment as a responsible corporate citizen. Like previous year, in line with our convention of showcasing the best six paintings, we present before you the paintings of the award winners of 2004 competition. The top six winners of this year are Selina Haque Lina, Mohammad Imran Ali, Pintu Chandra Deb, Dip Narayan Biswas, Touhin Hasan and Shahida Begum. The Jury Committee for the competition comprised of Prof. Qayum Chowdhury, Prof. Hashem Khan, Prof. Rafiqun Nabi, Prof. Abdus Sattar, Prof. Abdus Shakoor Shah, Associate Prof. Jamal Ahmed and Asst. Prof. Shishir Bhattacharjee. Berger Paints Bangladesh Limited had also organized an exhibition with the top 40 paintings, at the Zainul Art Gallery of Institute of Fine Arts University of Dhaka. The fierce competition has also made the industry highly price competitive. Most of the competitors consider pricing as one of the major marketing tools. The price strategy of Berger is to offer a high quality product at a competitive price. They set its price in relation to the value delivered and perceive by the customer. Because it believes that if the price is higher than the value perceived, the company will miss potential profits and if the price is lower than the value received the company will fail to harvest potential profits. HR Policies and Practices of HSBC Bank.